Congratulations to the 40 leading UK digital companies selected for this year's UK Trade and Investment (UKTI) Mission to South by South West 2012. The exciting mission will see the companies travel out to Austin, Texas for an action-packed 5 days at SXSW Interactive, one of the largest and most well known conferences focused on digital media and technology. Each of the companies joining the mission are listed below, don't hesitate to drop them a line directly to arrange a time to meet up in Austin, or follow their progress via their Twitter accounts. 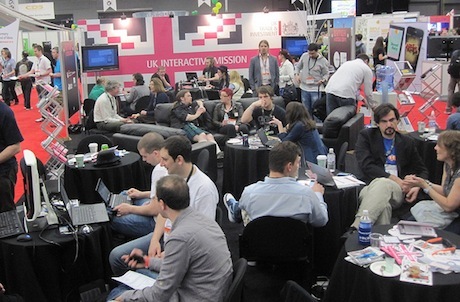 You can follow the UKTI team's coverage of the mission on Twitter @uktiatsxswi. We're a digital creative agency based in Shoreditch, London. We work with leading brands and organisations across web, social and mobile platforms. Acunu gives "Big Data" applications high and predictable performance, robustness and simple management. Developers using NoSQL stores such as Cassandra can take full advantage of low cost and high performance commodity hardware while Acunu's unique instant thin clones speed the dev/test cycle by letting each developer work with the whole dataset. Acunu's tools take complexity out of managing and monitoring and let developers focus on what matters: their applications. AMEE's mission is to aggregate and automate access to the world's energy and environmental information in order to drive measureable change to a low-carbon economy. Analytics SEO - SaaS software for SEOs/Online marketers and an API for partners. It covers every aspect of SEO including; technical auditing, competitive analysis, keyword research, link building, content optimisation and white- label reporting. Customers can also re-brand the software as their own. Our customers are increasing organic search revenues by 85% and visits by 162%. We're looking for US partners to help us take our software to US businesses. Anywhere.me is a free, secure and scalable digital publishing platform. We work with public libraries, universities and government agencies to build portals, start pages, desktop dashboards and mobile apps. for their communities. The platform is based around individual gadgets or portlets using open social protocols which can be built by any user with no previous programming experience. Our products also generate revenue as users search the web and shop online enabling us to turn traditional costs centres into profit centres for our partners. Codegent is a Digital Agency and Apps Development company based in London, UK and Bangkok, Thailand. Founded in 2004 we have since grown to a team of 20 people. We build educational mobile apps and SaaS web applications that focus on solving issues we encounter as web developers. Our agency clients include: BBC, British Library, Channel 4, Hoxton Hotel, Nestlé, Nickelodeon, Pearson Education, PepsiCo and Skechers. CultureLabel.com curates the best of the global design and art community within an online marketplace officially partnered with 500+ of the world’s leading creative brands. These include Tate, V&A, Saatchi Gallery, Andy Warhol Foundation and Chateau de Versailles to Abbey Road Studios and The Prodigy. CultureLabel.com offers unique gifts, accessories, homeware as well as limited edition art from hundreds of hand-picked artists such as Damien Hirst and Tracey Emin. DADapp introduces 3D Private Sharing & your Life Catalog. 3D Private Sharing - one method for all three dimensions of sharing - you, your home/work & your world; that is private & secure; that you can easily control; that is rich in useful data. Life Catalog - we are creating ever more data at an increasing rate, but its in different places, in proprietary formats with rich information locked away; DADapp’s Life Catalog is an open unified catalog of all our data that we can reuse, extend, cross-link and share. DADapp - more flexible than Dropbox, easier than Windows Networking and more private than Facebook. DeadSocial is a tool that allows anyone to create one secret message or a series of scheduled messages to be distributed after their death. These messages are published on the users Facebook wall and on their DeadSocial account. DeadSocial explores the notion of digital legacy and allows us all to extend our digital life through technology and the social web. Eventless is a cross-platform (mobile & web) application that utilises a user's personal information, social circle and past history to suggest interesting and highly relevant events in their current or chosen geo-location. This application also empowers event organisers, gig promoters & venue managers to increase ticket sales by allowing them to market their events more efficiently and cost effectively while collecting valuable attendee analytical data. Foodsplore is a Social Network for food, it's for anyone who enjoys eating out. Using Foodsplore you can see what others are eating and enjoying nearby, this is complete with quick reviews and photos so you can be inspired by the people around you. Fortune Cookie is a global full service digital marketing, strategy and technology agency. The world’s leading companies choose us to transform their digital channels because we make a measurable difference. Our mission? Improve the digital world to make the real world a better place. Our clients include AEGON, American Express, BP, Canon Europe, De Beers, FIBA, Fitness First, Legal & General, Royal Caribbean International and UEFA. We create and execute marketing campaigns that harness the power of social media. From social strategy and campaign development to blogger outreach. From content creation and build to community management. We maximise the power of social. Hailo is a network that matches passengers and licensed taxi drivers, using a tool which helps to make cabbies’ days more sociable – and profitable. Hailo makes sure people are never more than two taps away from a licensed taxi, and that cabbies get more passengers when they want them. Which means more journeys taken by passengers, and more profitable shifts for drivers. We're building a location-aware loyalty rewards platform connecting businesses and consumers. Customers seek more than connection with brands: they search for tangible value for their time, attention, endorsement, and data. We’re building our platform to make it easy for businesses to create and manage more purposeful and meaningful connections with consumers. Harvest Digital is a full-service digital media agency based in London. We work with major clients like Tesco, Sage, Experian and Chevrolet to drive online marketing strategy across media planning, search marketing, social media and web design. We have been going for ten years (it's our birthday this year), employ 45 people and our billings this year will be over £20 million. Milky Tea provides world-renowned brands and agencies from across the globe with ingenious ideas and unparalleled digital production services. Whether you fancy enhancing a campaign with a bespoke digital illustration or animation, or wish to bolster your brand with a game or interactive service, Milky Tea is designed to make the transition from idea to digital reality a simple and affordable one. Join us and you'll be in good company, our clients include Sony SCEE, Lloyds TSB and the BBC. Come and chat with us to see how we can lend our award-winning expertise to your brand or agency. MOFILM inspires filmmakers to create video for large brands and social causes. A leading crowd sourcing agency, we work with brands to develop briefs that we promote to our 40,000 plus community of filmmakers from around the world. Created by passionate professionals, the quality of content is outstanding, a recent creation for Chevrolet, Happy Grad, run during the second quarter of the Super Bowl scoring favourably on the USA Today Ad Meter. Musicmetric has built the world's most powerful artist analytics dashboard, Musicmetric Pro. This empowers anyone with a commercial decision to be made about an artist to be properly informed, in context to other artists and real world events, in record time. Musicmetric also measure artist buzz for all areas of the industry and have built a number of free tools to help emerging artists do their best to succeed. Net Communities specialise in representing innovative US Media Companies in the UK in order to bring a wider reach and range of marketing solutions to UK and European Brand Marketeers. Numiko are a leading UK digital agency working with broadcasters such as ITV, Channel 4, the BBC and more. We have worked for many high profile broadcast brands such as I'm a Celebrity, EastEnders and Doctor Who and Street Summer for Channel 4. Our innovative work is based on an insight into user behavior and has won numerous awards such as BIMA, Revolution and NMA Effectiveness awards. We create drama and entertainment based on our own IP for broadcasters, branded content for advertisers, and commercial properties with forward thinking partners. We use digital production techniques to create low-cost, high- value properties. We tell great stories using the familiar touch points of the target audience. We use everyday media to tell the story to the right people in the right place at the right time. And we make sure that our stories are designed so that each interaction - no matter where or how it happens - progresses the story, rather than just repeating the headline. Oil is a multi-platform story studio. This means we create compelling worlds that can reward, entertain and monetize massive audiences in a market where traditionally-served audiences are shrinking every day. Palringo is a popular mobile group messaging service with a large active community of over 300,000 social groups. Send instant text, picture, and voice (Push-to-Talk) messages to friends, groups of friends, social groups, or anyone on any mobile device, PC, or Mac. Palringo uses your internet data, so you can send unlimited messages to anyone without SMS charges. Palringo works with existing third-party IM services so you can instantly chat with all your friends on Facebook, Yahoo!® Messenger, Windows Live Messenger® and more. Download now free! PlayMob are enabling charities to fundraise through games through their core technology, GiverBoard. GiverBoard provides a social and fun experience to fundraising via games and allows game players to keep a history of all the good they do just by playing games. GiverBoard is multi-platform and has already raised thousands of dollars for good causes globally. Portal Entertainment makes 'immersive entertainment': stories where the audience take part them. We have built a storytelling platform that allows us to tell a story over multiple devices and measure the audience's level of emotional response to that story around anxiety, changing the story's direction. Our first production is a week-long Hitchcockian suspense thriller coming out on the iPad, blending film, web, email and mobile validated against our target market - 25-55 year old males ABC1, >50k. Psonar enables people to listen to great music in a radically new, legal way – Pay Per Play. Listen to a track once for 1c/1p/1eurocent or gift a playlist where you've pre-paid for someone else to listen. Psonar is good for music - every time a track is played artists get paid and by sharing and gifting music on Psonar people encourage the spread of great music. Realeyes has developed a technology that can analyze people's faces over any camera device. We can measure where people look and what kind of emotions they are feeling. We radically improve brand advertising, enable market research industry embrace next-generation technologies and help build better service applications that take advantage of biometric user feedback that has not been available before. Realeyes is the "The Google Analytics of Eye Movements and Emotions"
Recite is a software as a service system that can make any website accessible to anyone from anywhere in the world. Our text to speech software reads websites out aloud, text only views help people with dyslexia and visual impairments adjust the text to their individual needs. We also provide translation into 52 different languages and dictionary definitions of difficult words. ShareMyPlaylists.com is the largest site in the Spotify ecosystem and allows both music discovery via playlists as well as playlist sharing. Across the web, Spotify App, iOS and Android apps they deliver high quality curated content to more than 3 million users per month. Shopcade is a new social shopping experience on Facebook, where you can discover and shop what is trending among your friends and people you follow. Users create their own Shopcade - a dynamic list of favourite products, and by doing so, share their latest discoveries with their friends and followers. And when this discovery is genuinely helpful and leads to a purchase- Shopcade rewards both sides with real cash. Brands can enjoy high consumer engagement with their products and increased sales and promotion opportunities. Shopcade offers more than 40 million products from 20,000 brands in one socially-connected shopping app on Facebook. Sign-Up.to makes it simple to manage all your permission marketing in one place and get a better return from your marketing. Take complete control of all your customer data, email, mobile and social media marketing from a single, easy to use interface, backed up by great support. Less time, less hassle, better results. Traffic LIVE is an online, flexible, real-time scheduling, workflow and project management tool. It manages the project lifecycle from quoting to invoicing, including drag and drop scheduling, one-click timesheets, live job notifications and some of the most impressive management reporting and business analytics available. It's fast, visual, with an easy to use interface that your team will just love using. Traffic LIVE is creative management redefined. Blendology’s SoJoLife is a new breed of interactive event solutions that take promotional give-ways and consumer engagement to a whole new level for both users and brand managers. “SOJO™” branded give-aways connect users with just a ‘tap’ to build real-life networks, expand their online networks and engage with brand communities. StickyWorld offers a visual forum to discuss projects, products and places. We help people share their exact point of view on visual media, using sticky notes placed in the context of images, plans, documents, videos and 360 virtual tours. Our SaaS solution connects colleagues, collaborators and customers, enriching dialogue and informing decisions across a variety of sectors, including education, design, property, products and events. Synchtank provide a platform to allow music companies to exploit their rights through streamlining the sales and distribution processes. Companies can exploit new verticals at much lower costs through fast roll out. A software and interaction design company with our own social network and subscription product used by many of the UK’s biggest artists including The Wanted, Paul Weller and McFly. We provide the digital tools and platform so our clients can create engaging ‘pay per view’ & subscription offerings across web, mobile and Facebook. One recent project netted over £750,000 worth of subscriptions in the first 3 months. Thrive create beautiful and intuitive web applications which revolutionize they way users track, interpret and act upon their business data. Maximizing their time and increasing profits. With a worldwide user base, ThriveSolo is an all-in-one solution for the creative freelancer. ThriveStudio will reinvent the way creative studios manage their business data, collaborate and work. ThriveMarket will unite the global marketplace. Addiply is a local, self-serve digital advertising exchange that offers local publishers a 90% revenue return; for local advertisers it is the digital equivalent of placing a postcard in the window of your local Post Office. And now Addiply offers publishers the chance to out-source their ad sales to third parties via an affiliate sales programme. We crack the nut that is the cost of a local ad sales force. Specialising in interaction & user interface design, app development and digital entertainment, the ustwo studio designs multi-platform products and services across Mobile, Tablet, TV and beyond. Driven by its 'love digital' mission, ustwo creates engaging relationships between brands, devices and their end users. Independently owned and located in London, UK and in Malmö, Sweden and New York in 2012; ustwo brings the very best in digital design and innovation to a range of markets including mobile, consumer electronics, retail, entertainment, medical and financial. Yazino develops innovative social games which use real-time multiplayer technology - an approach called ‘in-sync gaming’. We believe that friendly competition encourages play and positive interaction, and in our busy, often serious world, play creates happiness and brings players together. Yazino was commercially launched in August 2010 with the ambition to make multiplayer social gaming truly social and universal: Yazino has launched six in-sync social games to date.